(Clockwise from back) Chocolate Decadence, Orange Creamsicle, and Chocolate Espresso Roons. Sweet, moist, chewy as can be, and full of tropical coconut. 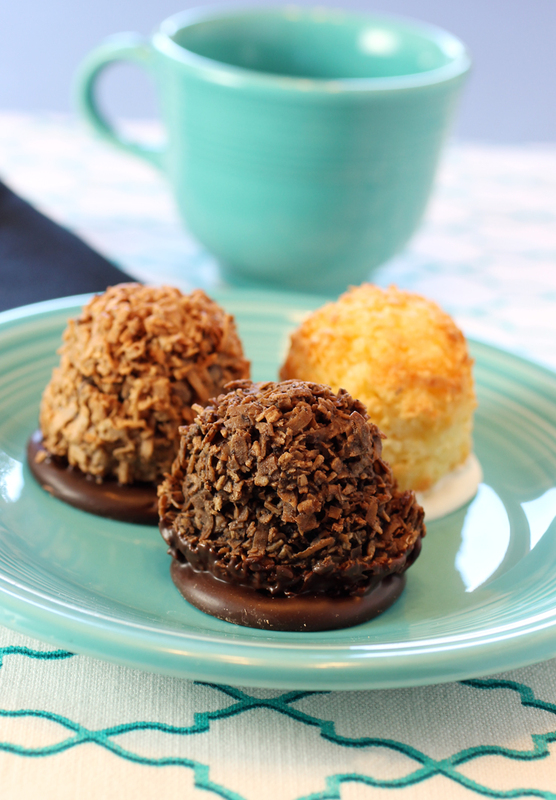 That’s what you get with Roons, delicious coconut macaroons hand-made in Portland, OR. I had a chance recently to try samples of these bite-size treats that are gluten-free and grain-free. I will readily admit that I’m a rather fickle coconut fan. Sometimes I love it; other times I can leave it. These had me at the first bite. After all, when Guittard chocolate is involved, how can I resist? The macaroon mounds, which get all toasty on the outside, get a platform of Guittard chocolate to sit on. They come in a variety of flavors year-round. I tried the Orange Creamsicle, Chocolate Decadence, and Chocolate Espresso. The Orange Creamsicle is full of bright orange zest, which really compliments the coconut well. It sits on a disc of white chocolate for even more sweetness. 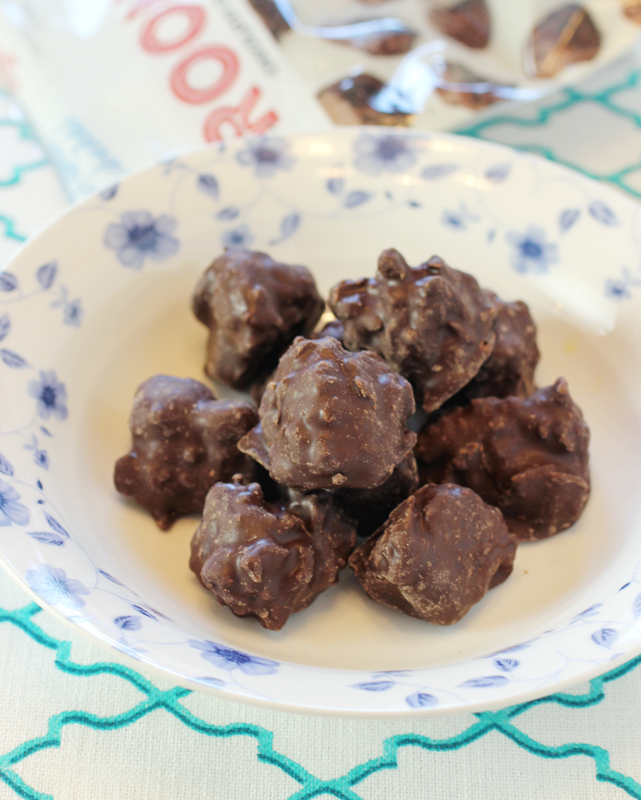 The Chocolate Decadence mixes chocolate into the coconut macaroon, as well as sits on a dark chocolate platform, giving it a chocolate milk-like flavor. The Chocolate Espresso marries more dark chocolate with Stumptown espresso for a rich coffee taste. Each Roon weighs in at 210 to 230 calories, depending upon the variety. Individually wrapped, the 1.7-ounce Roons are about $2.99. Lil Roonies that are completely chocolate-coated. The company also makes Lil Roonies, which are less than half the size of the Roons, and completely covered in chocolate like a bonbon, making them even richer and more candy-like than the original sized ones. Three of these little guys have 150 calories. They come in a 4-ounce, resealable bag for about $4.99. While Roons are mostly sold in stores in Oregon, a box of nine are sold on the Roons web site for $27. For the special someone in your life who adores chocolate and coconut, this would definitely hit the spot for Valentine’s Day.